The 42-year-old Colombian superstar will perform for Pope Francis as part of the World Meeting of Families on September 26. The event, which takes place every three years, will mark the first time Pope Francis visits the United States during his papacy. 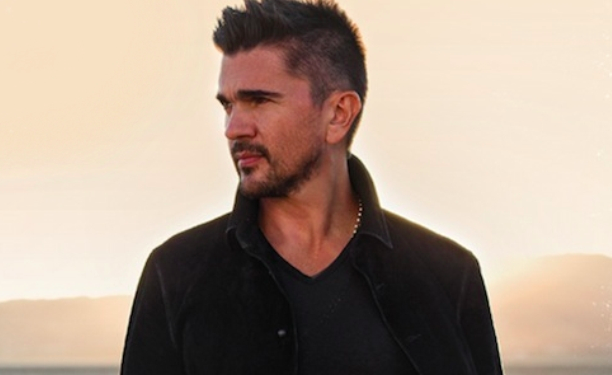 Juanes joins a roster that includes Andrea Bocelli and the Philadelphia Orchestra. The World Meeting of Families is a triennial event that seeks to strengthen family bonds globally. In choosing who would perform at the Festival, the notion was to “bring together performers that represented the world,” said executive director Donna Crilley Farrell. Performing for the pope has been a big goal for many acts through the years, particularly acts from predominantly Catholic Latin America. Those who’ve performed for popes in recent memory include Gloria Estefan (for Pope John Paul II in 1995), Argentina’s Diego Torres (In 2003 for John Paul II) and Mexico’s Lucero (also for Pope John Paul II in 1997). Last year, Argentine Martina Sotessel, who plays Violetta in the popular music-minded Argentine soap opera, sang for Pope Francis in Rome.